Is it possible to have a geek hangover?? Because i think i have one! 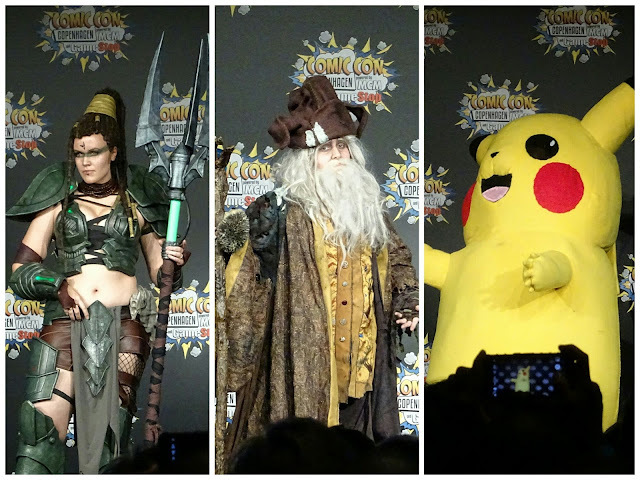 No but Comic Con Copenhagen was amazing and i wish it was longer! I have been preparing myself for so long to this con. Even though my costume was quite simple it took me ages to make because everything was sewn by hand now that my sewing machine decided that it didn't want to sew in faux leather. 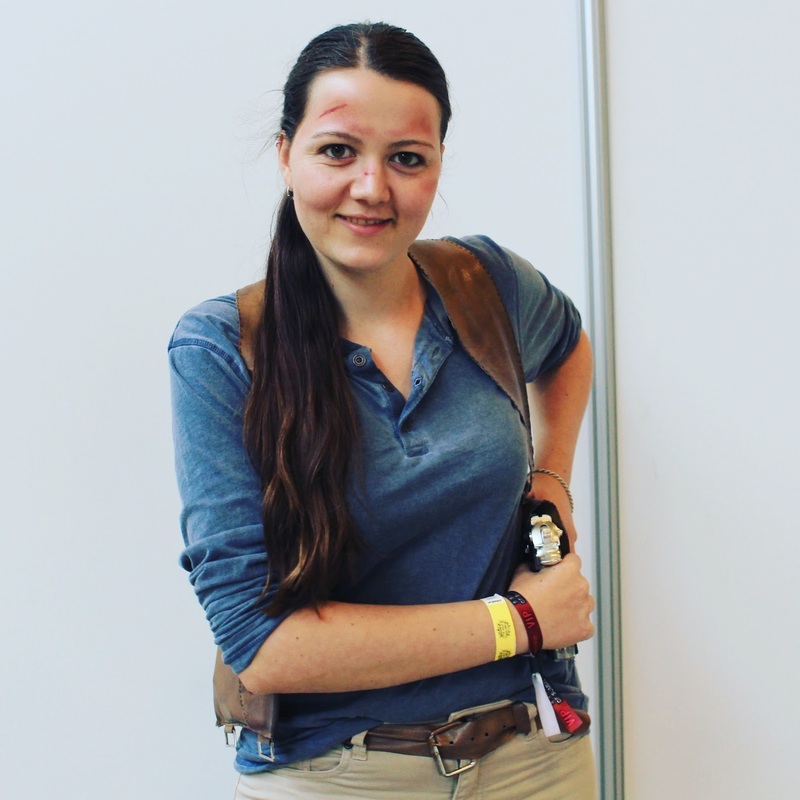 Either way i was very satisfied with the result and i was wearing my Nathan Drake cosplay both Saturday and Sunday. I have to mention that Friday was the longst day ever. 7 hours at work and then 6 hours in train to Copenhagen and then find the hotel. We were pretty dead when we finally landed in our beds. That means that we were a little late to the con Saturday and totally didn't expect the giant queue at that hour. It also ment that i didn't get to see the presentation of Watch Dogs 2 on the big stage. A little sad but we could always go and look at Ubisofts booth. While we were there we went to see to panels with two different actresses that Ayla and I are fans of. We saw Alycia Debnam-Carey who is a actress we know from Fear The Walking Dead. I saw the newest episode yesterday and it was weird to already see her and be like "I saw her live two days ago?" but also pretty cool. Sunday we saw Kerry Ingram, known from Game of Thornes. I don't really watch the show myself, but Ayla is a big fan so i went along and pretended to know everything that people was talking about. I know that a lot of people wasn't very positive about the con in general because there wasn't a lot of comic but a lot of video games and sales booths but i think it was great. Maybe because i'm not the biggest comic fan but i love video games. So i was excited about all the new games. And did i menting i bought Mochis? I haven't tried them yet but damn i have wanted to try those for ages. They had a lot of Japanese candy and many booths had Funko Pop figures. Of course i got a Nathan Drake (the dude i was cosplaying) and a Jacob Frye to my random collection. Throughout the days they had some random events like dance-off's, flash mobs at the Just Dance 2017 booth, cosplay competitions and Star Wars march. All in all: It was pretty damn geeky awesome!